TL;DR: Munchery has laid off 30 full-time employees following departure of founders last fall. They were replaced by serial startup turnaround CEO James Beriker, who has likely been brought in to get the company in shape to be sold. On-demand food startup Munchery has laid off 30 full-time employees. According to sources with knowledge of operations at the company, the layoffs significantly impacted the marketing and culinary R&D departments at the headquarters in San Francisco. It is likely Munchery’s top boss, James Beriker, laid off staff as a part of the company’s restructuring. Beriker took over the CEO job in November amid reports that the company was struggling to find a profitable way to operate. Beriker replaced CEO and co-founder Tri Tran at around the same times as the reports. The company was founded in 2011 and is billed as delivering chef-made meals with fresh, natural ingredients delivered in environmentally friendly packages. Customers pick the delivery time and are provided with instructions to reheat them and Munchery delivers food in more than 1,000 cities. According to Mattermark’s data on Munchery, the company had just under 200 full-time employees prior to the cutbacks. Per a spokeswoman, the company has 900 full and part time employees. The people familiar with operations said that the cuts hit the headquarters in San Francisco the hardest, amounting to about 30 percent of the total staff at that location. It’s unclear exactly what the layoffs can tell investors other than savings on payroll. Research and development cutbacks could mean, among other things, that Munchery will taper new original recipes for the foreseeable future. It’s unclear what the changes to the marketing department will mean for the future. Like other firms in the sector, food waste has been a drag on profits and reportedly cost the firm over $1.9 million between September 2014, and July 2016 — though the company says that unsold food is donated. Consumer-focused food startups such as Munchery are battling in an intensely competitive sector with a number of well-funded competitors. 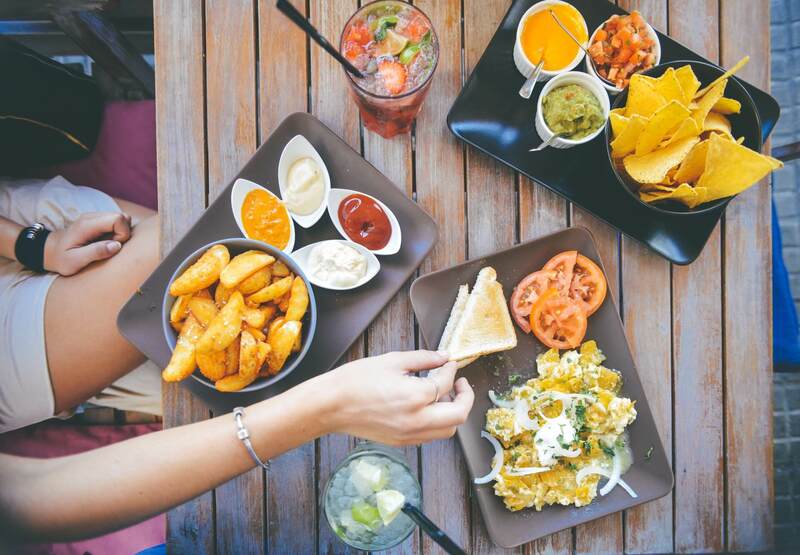 Margins tend to be slim because of the fixed cost of delivery, downward pressure on pricing due to competition, and the fact that diners will often pick the cheapest option. The layoff at Munchery comes amid changes among many Bay Area food startups under pressure to become profitable before funding dries up. While several have recently raised money, others have not been so fortunate. Berkeley-based food startup SpoonRocket closed its doors last year. Food delivery company Sprig has cut back staff and exited at least one market. Both are consumer-focused food delivery businesses. And earlier this week, San Francisco-based Zesty recently trimmed its staff by 13 and backed out of a lease on a new office space. CEO Chris Hollindale said the staff cuts and lease decision were due to overly-optimistic projections for 2016. Hollindale said the company was on track to attain profitability in Q2 of 2017, the changes in the business were necessary to achieve it. Zesty is a corporate catering firm. Yet despite setbacks and reports of struggles with profitability, Munchery remains one of the better-funded food startups. In May 2015, it closed an $85 million Series C funding round, valuing the company between $250 million and $275 million. Investors in this round included Greycroft Partners, Menlo Ventures, e.ventures, Mousse Partners, Northgate Capital, 137 Ventures, and Sherpa Capital. The company has raised $117M to date. Time will tell how far that funding, which was announced 20 months ago, will go. It also possible an inside round of equity or debt was raised at the same time the replacement CEO was brought on board, given startups generally raise enough money to fund ~18 months of operations. Right now, we have more questions than answers. Will Munchery continue to execute on their existing consumer delivery model, or will serial turnaround CEO Beriker try a different strategy to clear the steep valuation hurdle an $85 million financing round brings? The clock is ticking. Note: Article has been updated to reflect an interview with a company spokeswoman.